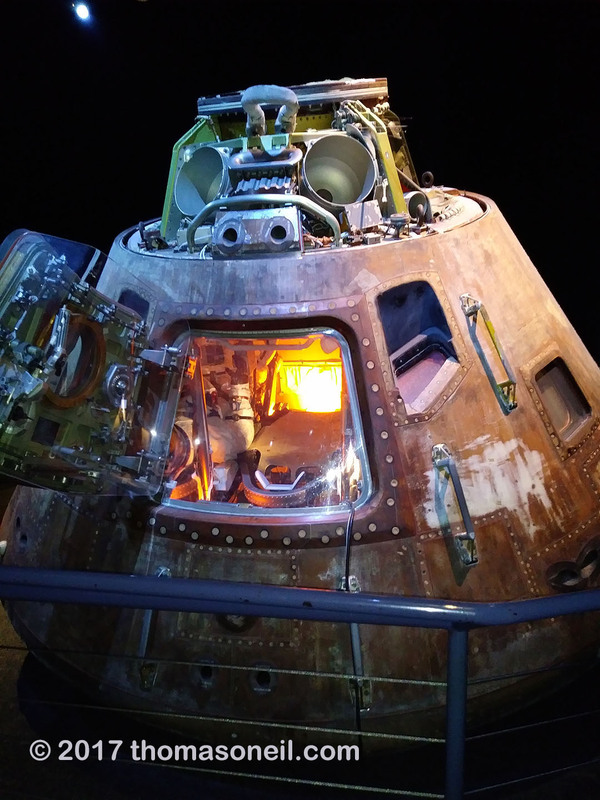 thomasoneil.com Johnson Space Center, Houston: Apollo 17 command module America piloted by Ronald Evans, Johnson Space Center, Houston, July 2017. Apollo 17 was the last moon mission in 1972, making Harrison Schmitt and Gene Cernan the last men on the moon. I thought we would be on Mars by the turn of the century, but American leaders had more mundane ambitions after Apollo. [#8760-nasa04] Click on image for next photo.